From crocodilians to cuttlefish, Brian Siegel takes care of several species that capture our imaginations. Hosts Joe and Hayley especially wanted to hear about Brian's work with crocodilians - a group including alligators, crocodiles, caimans and gharials. Did you know that there are only two alligator species? Do you know how gators replace their teeth? Are you curious why Brian attended "Croc School"? That's the nickname for the Association of Zoos & Aquariums' program officially called Crocodilian Biology and Captive Management. 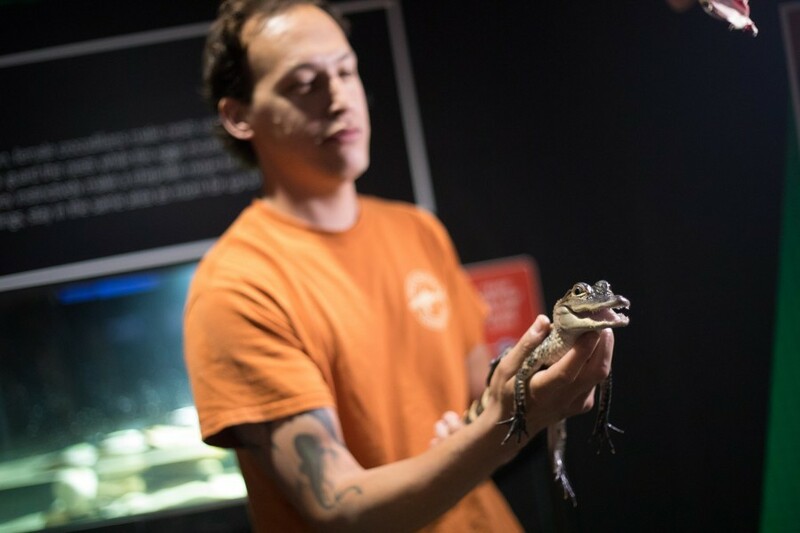 Brian, a Senior Aquarium Biologist at Mote, is learning new reptile facts all the time and loves engaging in croc talk.